Quilts are the threads in the fabric of our history, culture and everyday lives. They meet functional needs and give us an outlet for our creativity. They tell stories and unite us as people. They give us an opportunity to show our compassion and care for others. And they help us pass our legacies on to future generations. I am constantly amazed and delighted at what these pieces of fabric accomplish in and through us as quiltmakers. They celebrate our joys, comfort us in our sorrows and help us learn more about ourselves in the process of their creation. Raised in California, I was taught to sew at an early age by my great-grandmother and great aunt. 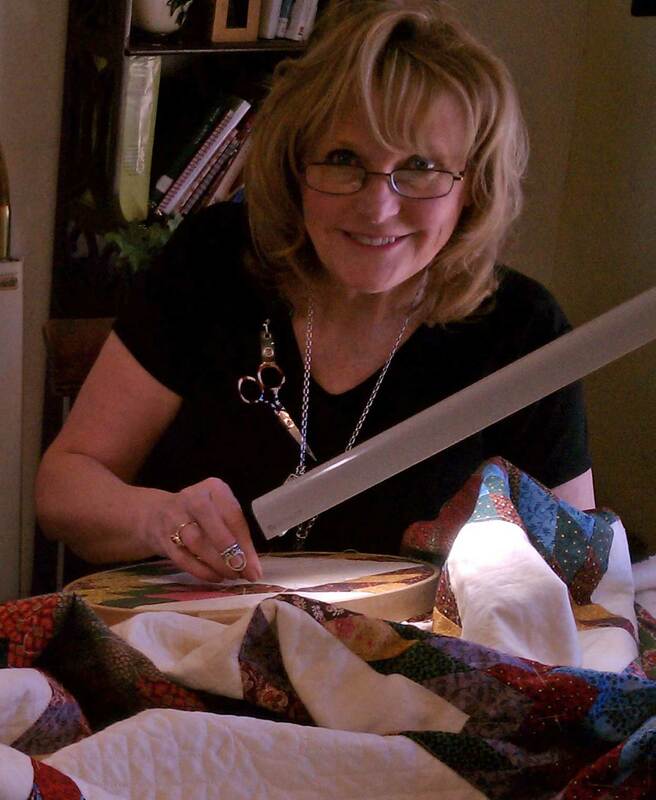 Beginning in the 1970’s, I taught needlework and quilting for the community college system in southern California, also teaching for quilt conferences, quilt guilds, quilt shops and private groups throughout the United States. I specialize in bringing new life to traditional patterns with creative arrangements and inventive color and fabric choices. The author of two books, I was also named a California Living Treasure as part of the California Quilt Heritage Project. As a quilting teacher, I am always looking for new ways to help my students fully embrace the history, importance and joy of quilting. I am dedicated to ensuring my students success and am known for streamlining methods with lots of tips and tricks. Learn a new technique, discover a shortcut and embrace the world of quilting with me.